It seems I am the last person on earth to jump on the bandwagon of YSL Rouge Volupte line but better late than never..right? YSL Rouge Volupte line of lipsticks have been raved by every beauty blogger I know and probably for a good reason. And of course as a self proclaimed makeup lover I wanted to give them a try to see if they were really that outstanding and worth shelling out 36$ for a lipstick! And I am pleased to say that they don't disappoint! The packaging is what got to me first and I am sure I am not alone when I say that! Can we just take a moment and acknowledge how gorgeous the packaging is on these lipsticks! Luxury at it's best! They a bit heavier than normal lipsticks but it doesn't bother me at all..in fact I love how sturdy and classy it feels in my hands. The formula is something that I have never come across and that's the second thing that attracted me to try them. I am total matte lipstick kinda girl and these are anything but matte! The formula is incredibly smooth and glides like butter on lips. A little too slippery for my taste to be honest. The pigmentation is amazing on these and couple of swipes is all you need to get that full blown out color. I love how light weight these feel on the lips! It applies like a lip balm but with intensity of a lipstick if that makes sense. It does makes my lips appear fuller and more plump and in a good way. They don't feather, bleed or settle into fine lines at least not on me. The best part about these are how moisturizing they feel on the lips and if you are someone with dry lips you'll love this lipstick formula! The shade 03 Beige Ultimate is very pretty neutral beige pink with slight mauve brown undertones to it which makes it perfect for everyday wear. Its a kind of shade which will suit all skin tones beautifully! The staying power is not that great on these lipsticks. I get about 2-3 hours of wear with small meal in between but it does leave behind a mild stain on lips. Honestly I have no problem retouching my lipstick and its the only way I'll ever finish a lipstick! It does have a strong sweet fragrance though which I don't like and I wish the companies would formulate their products without fragrances! Anyway the smell doesn't linger on for too long and fades away slowly. Have you tried YSL Rouge Volupte lipsticks? Which are your favorite shades from this range? Please share your favorites below! Hope you enjoyed reading, until next time..take care and stay beautiful! the shade looks lovely on u...im not a an of this particular shade! Thank you Rachna..why not? does it wash you out? I prefer the volupte shines to the volupte's - I have one shade in the original (can't seem to recall which one) - it is a bright color and I have the same issues - a little too slippery and that overpowering mango scent. This is a really nice everyday shade on you! I am not big on shiny lipsticks hence chose to go with this one but yeah I really wish they would either make these fragrance free or atleast change the fragrance to something less empowering! Thank you so much Pree :) how have you been? omg the shade is the prettiest! 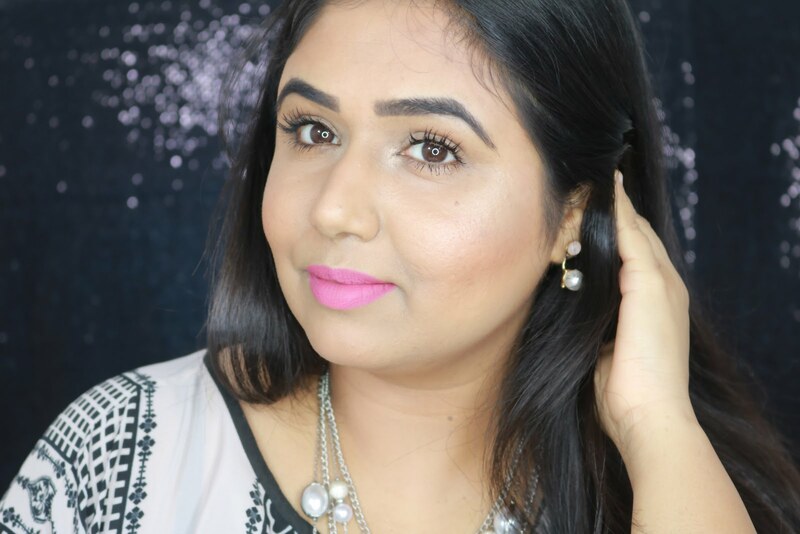 Thank you Aditi..have you tried any of the YSL lipsticks?